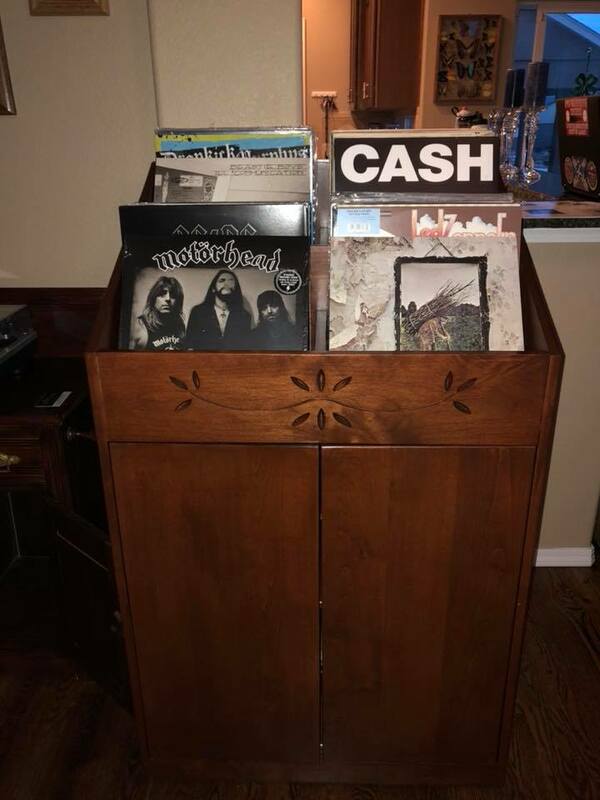 So I’ve never built any kind of furniture before, but after messing with my SO3 for 6 months or so I got inspired after my wife remarked that she would like a cabinet for a vinyl record collection that we inherited and have started adding to. The catch was that the cabinet needed to match some of the other antique furniture that came with the collection, so I was limited in what designs I could carve. The antiques have very simple hand carved designs in them. While I was excited to do some fancy 3D carvings, that idea was vetoed. 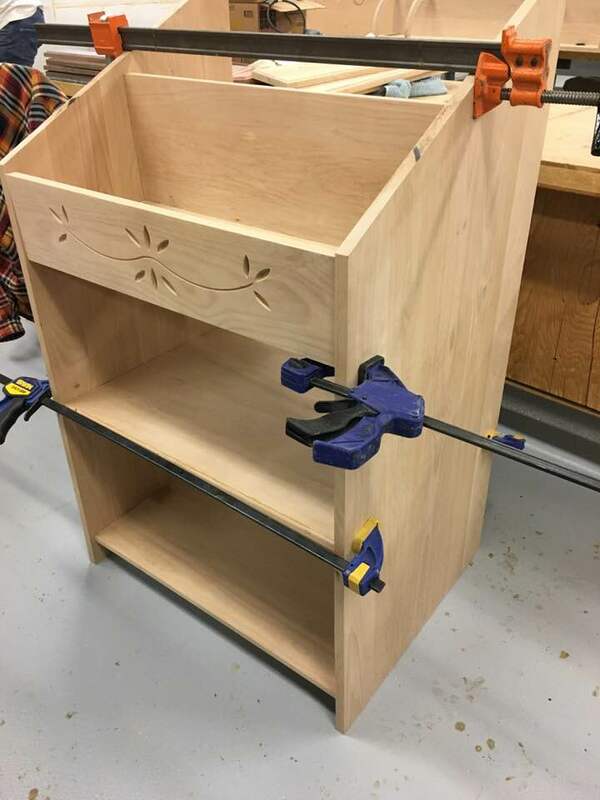 Cabinet is made almost exclusively of Alder, and measures about 28 inches wide x 24 inches deep x 46 inches tall and was designed in Fusion 360 with the exception of the front design which was in VCarve Desktop. Link here with more info on carving the design using tiling. Special thanks and shout out to @Griff, who gave me some great carpentry advice along the way. Complete assembly in Fusion. It was really helpful in this case to model all the parts in Fusion because as I changed dimensions and adjusted things, the parametric functionality really saved time by not having to re-build every part. After many screw-ups while making components, finally dry fitting everything before glueing. Staining and finishing coats complete, just waiting to install the doors. Looking forward to your next piece Evan. Nicely done. The most satisfying pieces are those we do for those we love. Thanks @Griff. Although, I’m packing up the shop soon, as we are moving. Rushing to finish all my projects that were hanging out “in progress.” I’m a little burnt out right now. I have a feeling after a few months and getting settled, then I’ll find the next project. I’m thinking of doing a live edge slab coffee table next, maybe walnut. So I wouldn’t do any CNC work on the top, but maybe on the legs. Have to mull that one over a while.